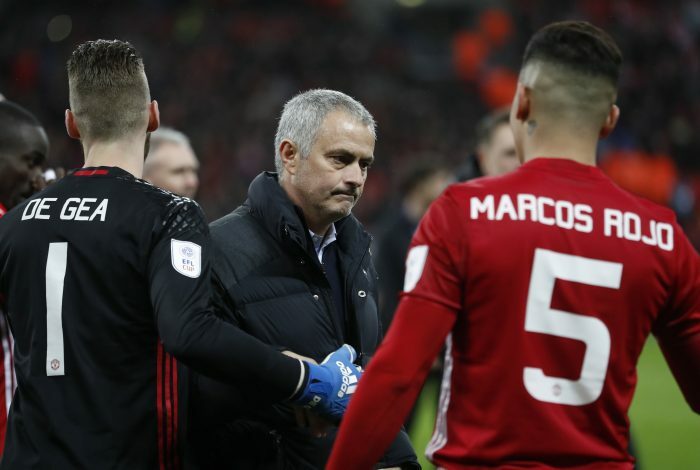 Manchester United manager Jose Mourinho is all over media reports in the past few weeks owing to the uncertainty surrounding his future at Old Trafford after a wretched run of results, which see the Red Devils languishing in tenth place in the Premier League table. To make matters worse, rumours of a rift between the manager and certain players in the squad have further raised speculation that a sacking is on its way. In fact, the footballing world was shocked to learn that the sack could be handed out this weekend regardless of the result against Newcastle United. But those rumours quietened down today, after BBC claimed that Mourinho still had the United board’s backing, and would stick around for a considerable while longer, and would be judged solely on a continuous string of results. Nonetheless, the rumour mill was back at it again after it emerged that Mourinho’s agent, Jorge Mendes, had a meeting with the Red Devils’ officials to discuss what was assumed to be his client’s future in Manchester. But Telegraph now claim that though the meeting was scheduled with Mendes, it wasn’t for his Portuguese client, but for a certain Spanish one instead. David De Gea is also a client of Jorge Mendes, and the chiefs at United wanted to discuss the possibility of tying the shot-stopper down with a long-term deal that would secure his future at the club. Officials are said to have been very impressed with the goalkeeper’s performances and commitment to the team, and want to extend his contract and keep him in the North-west of England. The Spaniard gets through his current contract at the end of the season, though United have the option of a 12-month extension which they want to ensure turns into a longer commitment, as they hope to keep one of their most influential players in recent years.